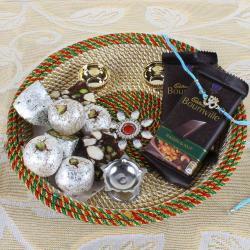 Raksha Bandhan is a festival celebrated by Hindus across India with much fervor. 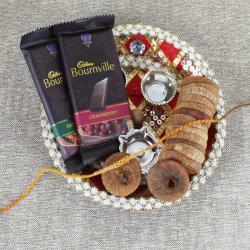 Rakhi is a thread that symbolizes countless emotions. 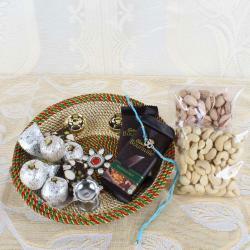 So celebrate this festival of promise, protection and love with Ferrero Chocolates, Cashew gift hamper that will give yours brother a pleasant surprise. 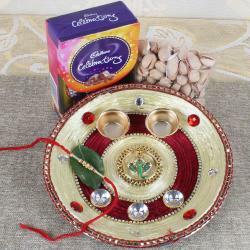 This Rakhi Thali will complete your celebration perfectly so make your brother feel special by gifting this complete festive gift package including Rakhi pooja thali. And strengthen the bond of love and keep alive the traditions and the basic essence of the eternal bond of siblings. 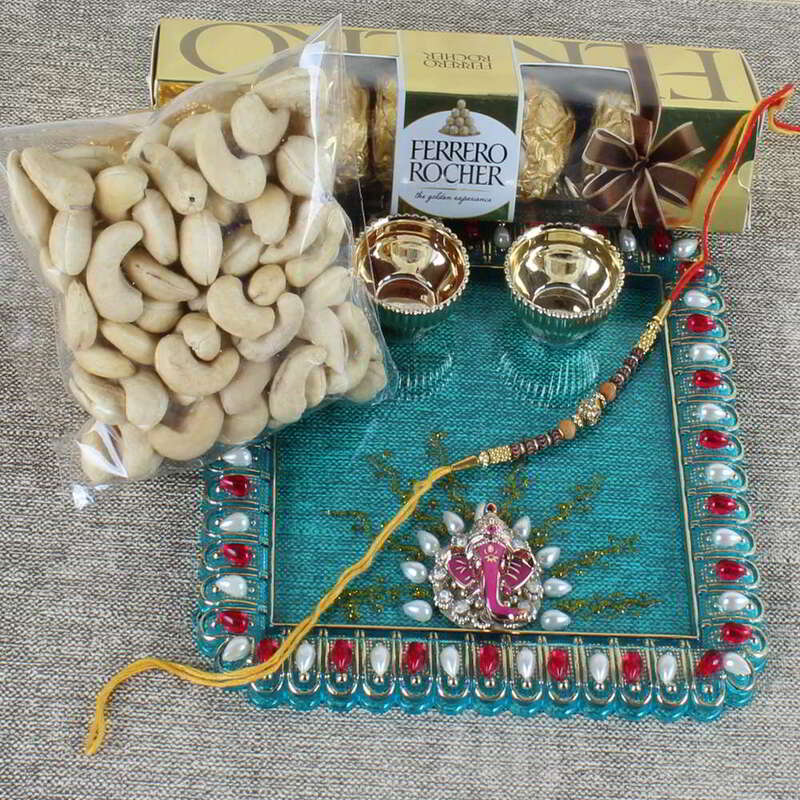 Product Includes: Gorgeous Rakhi Puja Thali, Designer Wooden Beads Rakhi, Cashew (Weight: 100 gms) along with 5 pcs of Ferrero Rocher Chocolate.